The LPG tanker Syn Antares ran aground in Guaiba Lake near Porto Alegre, Brazil. The vessel left the port bound for Rio Grande, when stranding off fairway and hardly stuck into a mud shallow. The crew was not able to refloat the ship by own power and requested assistance from the local authorities. At the scene of the vessel were dispatched two tugs, which should assist with refloating, after inspection for the hull’s strength and considering the water level. There were no reported damages of the vessel and no breaches during the grounding, but the area is under monitoring for oil leaks and water pollution. The authorities started investigation for the root cause of the grounding of LPG tanker Syn Antares. According to preliminary information, the grounding was caused by technical failure of the steering gear, which pushed the vessel outside the fairway and stucking into the shallow. The traffic at the shipping way was not affected by the grounding. 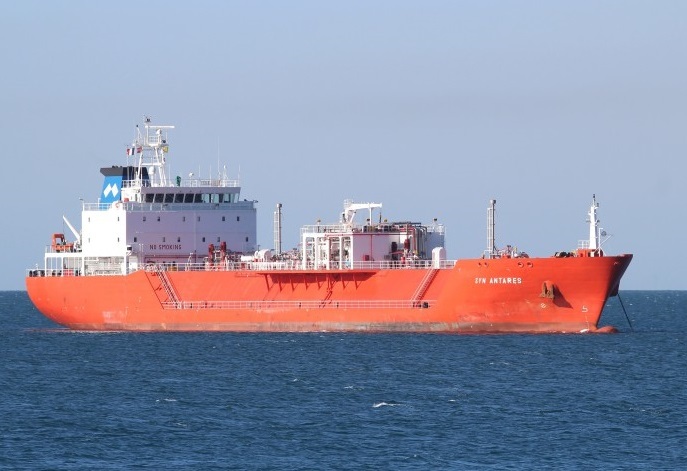 The LPG tanker Syn Antares (IMO: 9512848) has overall length of 123.00 m, moulded beam of 19.00 m and maximum draft of 6.00 m. The deadweight of the ship is 8,000 DWT and the gross tonnage is 7,600 GRT. The ship was built in 2014 by Cantiere Navale di Pesaro in Italy.